Native Ornamental Fish of China - Illustrated Book. This book collects 463 species native ornamental fishes from China. Among of them 163 species are described in details with 1-4 illustrated pictures. Their Latin name, morphological characteristics,living environment, distribution, ornamental value and resources situation are provided. 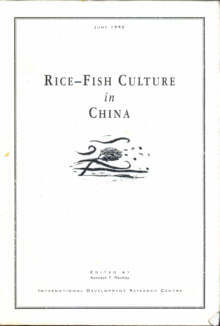 It is the first book to introduce Chinese native ornamental fishes systematically. 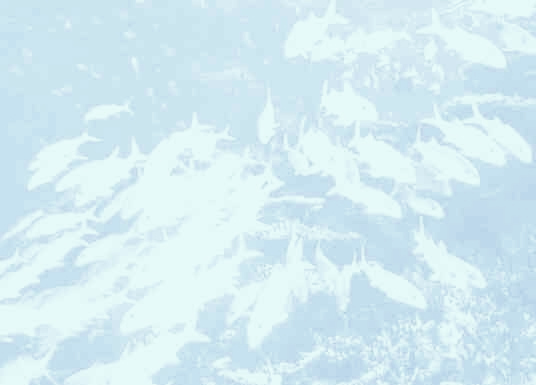 Fishes of the Bohai Sea and Yellow Sea. This book describes fishes 315 species beloging to 118 families. 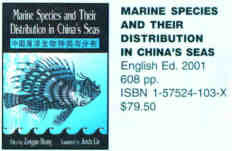 It is more 114 species than the book A Field Guide to the Fishes of the Bohai Sea and Yellow Sea that published in 1955. Economically Important Fish in China - New! Marine Fishes in Eastern Taiwan - New! Format: Soft Cover , 352 pp. Native and Exotic Fishes of the Middle and Lower Yangtze River - New! Marine Fishes of Southern Fujian, China, vol. 2 - New! Language:English/Author:I Chiu Liao and Eduardo M.
Language:Chinese/Author:Wu Qingjiang,Gui Jianfang, et al. Author: Chu Yuan-ting et al.